February 23-27, 2015 marks Fair Use Week, a celebration of user’s rights in copyright law. Penn State University and the Penn State Libraries embrace the usefulness of fair use and its necessity in fulfilling our mission of teaching, research, and service and to inspire intellectual discovery and learning through robust information resources and academic collaborations in teaching and research that connect the Penn State community and citizens of Pennsylvania to the world of knowledge and new ideas. This week, take a moment to learn more about Fair Use. 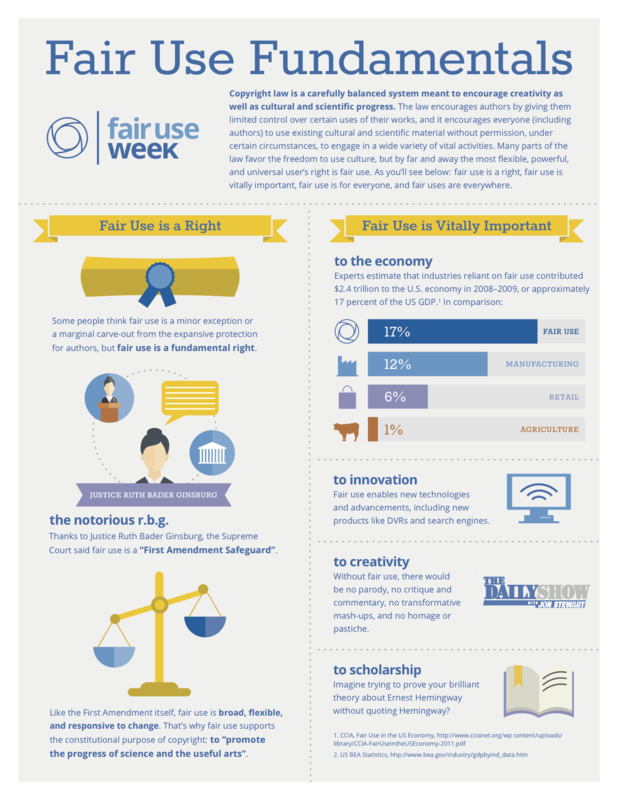 What can you do to celebrate Fair Use Week? Check out the National Fair Use Week site for a complete listing of webinars and blog posts to learn more about fair use. Schedule a consultation with the copyright officer for answers and information about your copyright conundrums. 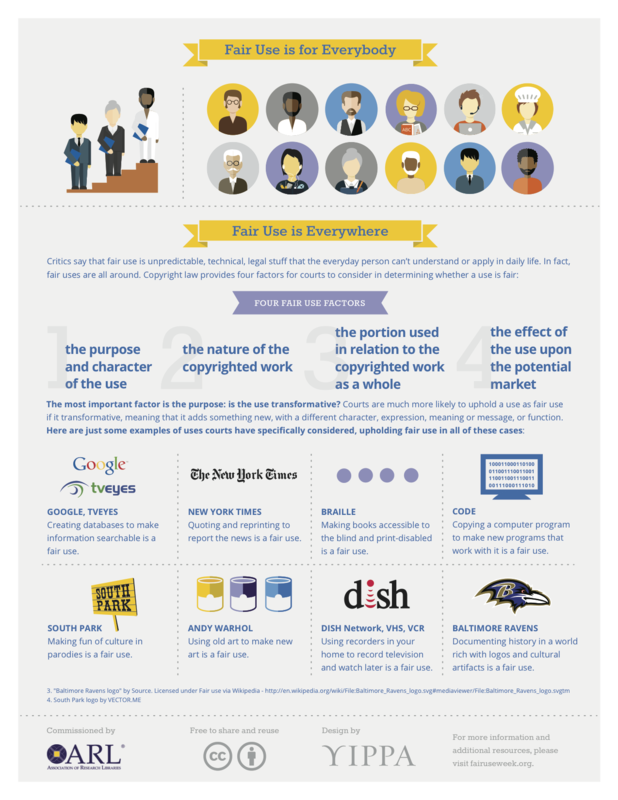 “Fair Use Fundamentals Infographic” by the Association of Research Libraries is licensed under CC-BY (Version Unspecified).